The practice of medicine is a highly specialized field requiring years of higher education and training to produce professionals with the skill to maintain our health in the face of catastrophic injuries or life-threatening illnesses. The average individual has no medical skills beyond basic First Aid and must rely completely on doctors, nurses and hospitals to properly diagnose and treat a medical condition. As licensed professionals, doctors, nurses and other health care providers are held to a certain standard of care, and when they fail to treat a patient with the required level of skill and care, they can and should be held liable for the harm they have caused. This is the essence of medical malpractice law, and the Tampa medical malpractice lawyers at The Palmer Law Firm are devoted to getting injured patients the full amount of compensation they deserve after being harmed by a doctor’s negligence. At its most basic level, proving a case of medical malpractice requires the injured patient to prove two concepts: 1) that the health care provider failed to treat the patient with the same level of care and skill that another reasonably prudent doctor or hospital would have provided in the same circumstances, and 2) that this negligence or failure caused harm to the patient. Proving these two concepts involves both complex medical and legal issues. A medical expert is required to review the records in the case and state an opinion regarding the medical negligence that occurred. Likewise, it is crucial to be represented by a lawyer who recognizes the legal issues in the case and understands how to properly deal with them. Medication Errors – The wrong medicine or the wrong dosage is prescribed, filled or administered. Anesthesia Errors – Too much or too little anesthetic causes a patient to experience pain or emotional trauma, or failure to monitor the patient’s health results in permanent brain damage or death. Surgical Errors – Surgery is performed on the wrong side of the body or on the wrong patient, foreign objects are left inside the patient, or an artery, vein or vital organ is nicked during surgery. Birth Injuries – Excessive force during delivery results in factures or nerve injury, or lack of oxygen to the fetus causes permanent brain damage. Diagnostic Errors – Cancer or other serious conditions are missed or misdiagnosed, or the correct diagnosis is unreasonably delayed, causing significant additional injury. Emergency Room Errors – Treatment of an emergency condition is unreasonably delayed, lab tests are misinterpreted, or ER doctors fail to consult with specialists when needed. Doctors are required to obtain the informed consent of their patient before operating or undertaking a medical procedure or course of treatment. Informed consent means informing the patient of the risks and benefits of the recommended treatment, the availability of alternative options, and also the consequences of not treating the condition. Doctors and hospitals can be liable for treating a patient without first obtaining informed consent, or for going beyond the bounds of the informed consent that was given. Many doctors and hospitals require patients to sign a document acknowledging that they have been informed of the risks of the procedure. It is important to understand that signing this document is not a waiver of liability; informed consent does not relieve a doctor or hospital of liability for negligence. In any case where you believe you may have been harmed by medical negligence, you should contact an experienced medical malpractice lawyer who offers a free initial consultation. A claim for medical negligence or medical malpractice means any claim arising out of the rendering of or failure to render medical care or services. It is not only doctors who can be held liable for medical errors, but also hospitals and the employees who work there, and health care providers in a wide range of facilities and professions. Below is a look at some of the different persons or entities who may be liable to injury victims for the harm caused by their medical mistakes. To discuss a specific instance of possible medical malpractice in Tampa, and for a free consultation regarding your potential claim, call The Palmer Law Firm at 813-506-5651. Doctors – Under Florida medical malpractice law, doctors are held to the prevailing professional standard of care and must practice with the level of care, skill and treatment that would be recognized as acceptable and appropriate by reasonably prudent similar providers in similar circumstances. Doctors can be held liable for surgical errors, birth injuries and other harm caused by their negligence or incompetence. Hospitals – First of all, hospitals and other healthcare facilities can be held vicariously liable for the negligent acts of their employees, including nurses, orderlies and other staff. Additionally, hospitals can be liable for harm that occurs due to inadequate policies, procedures or protocols that let so-called “never events” occur, such as sending the wrong baby home with new parents, mixing up a patient’s chart, or failing to institute sanitation and hygiene practices to prevent the spread of life-threatening infections. Nurses – Nurses and other licensed health care workers, such as radiologists and lab technicians, are licensed professionals who can be held liable for harm resulting from their failure to perform up to the standards of their profession. Medication errors and diagnostic errors are common forms of medical malpractice claims against nurses and lab techs. Pharmacies – Pharmacies can be liable for the negligence or incompetence of pharmacists and pharmacy techs who misfill or mislabel prescriptions or give improper advice and counseling to pharmacy customers. Dentists – Dentists can be held liable for their own negligence or that of hygienists and technicians who work for them, when their negligence leads to serious injury. Dental patients can face serious complications, chronic pain and debilitating injuries from negligent medical care, including terminal illness and death from errors such as the failure to diagnose oral cancer, the failure to control an oral infection, or anesthesia errors during a tooth extraction or oral surgery. HMOs – When Health Maintenance Organizations usurp the physician’s role in deciding what tests can be ordered, which medications can be prescribed, or when a patient may see a specialist, the HMO had better ensure that its decision is based on the patient’s health needs and not simply cost containment. HMOs can be held liable for impeding necessary treatment. Why Do I Need a Lawyer for my Tampa Medical Malpractice Case? Most of the time people who are injured by the negligence of others receive a settlement from the insurance company without having to go court. You may be thinking, Why do I need a lawyer if there isn’t going to be a trial? The fact is that insurance company settlements with unrepresented persons are far less in value than outcomes achieved by skilled and experienced attorneys, regardless of whether the case goes to trial or not. Below are a few reasons why it is important to have an attorney represent you in a Tampa personal injury matter, and especially in cases of medical malpractice. Unless you have been especially unfortunate in your life, your personal experience with personal injury insurance claims is hopefully fairly limited. Remember, though, that insurance company adjusters and lawyers handle these claims every single day, so they are vastly more experienced than you are in understanding the value of a personal injury claim. You may know what your immediate costs are, but there are likely many future expenses and negative impacts on your life that you have not considered. Having a personal injury plaintiff’s attorney represent you levels the playing field by having someone on your side who also deals with personal injury claims every day and has as much experience or more as the insurance companies in settling injury claims. Your attorney will carefully analyze your case and seek the full amount of compensation for all your legal damages. It is true that most cases settle without a trial, but filing a lawsuit is still often necessary to get a good settlement. Only by proceeding to litigate the case do the facts come out about how strong your case is and how much it is worth. Also, by litigating the case with an experienced attorney on your side, the insurance company knows that you are serious, ready and willing to take your case in front of a jury if necessary to achieve a good result. Insurance companies don’t want to do this, especially in cases of serious injury where it is clear their insured was at fault. Once they see you are represented by an experienced and successful Tampa medical malpractice lawyer, they are much more likely to deal with you seriously and offer you a realistic settlement amount. If you have been harmed due to the medical malpractice of a doctor or hospital, it is even more important that you retain a qualified lawyer to represent you. Special laws apply specifically to medical malpractice cases, requiring you to give pre-suit notice to the negligent party along with an affidavit or certificate of merit from a medical expert stating that you have a case. Medical malpractice cases rely heavily on medical expert testimony and often involve complex legal questions. Hospital corporations have extensive financial resources to challenge your claim and draw out litigation, making it expensive to you to continue your case. You need a law firm on your side with the skills and resources to match the hospital legal departments and insurance company lawyers so that you are not taken advantage or forced to accept less than you are truly owed. Insurance companies are not trying to get you the best result they can. They are interested in getting your claim off their books as expediently as possible. They want to settle with you quickly, before you have talked to an attorney or understand the true extent of your injury and damages. Before you sign any documents or accept any money from an insurance company, it is wise to talk to a personal injury attorney first. Your attorney is on your side and is duty bound to be loyal only to you and your best interests. Most plaintiff’s attorneys will offer you a free consultation and will not charge any money upfront. At The Palmer Law Firm, we provide a free consultation and never charge a penny unless we obtain a recovery for you. This contingency fee arrangement means we have a financial incentive to get you the best results possible. If you believe that you or a loved one has been harmed by a medical error in a Tampa hospital, call The Palmer Law Firm for a free consultation at 813-506-5651. 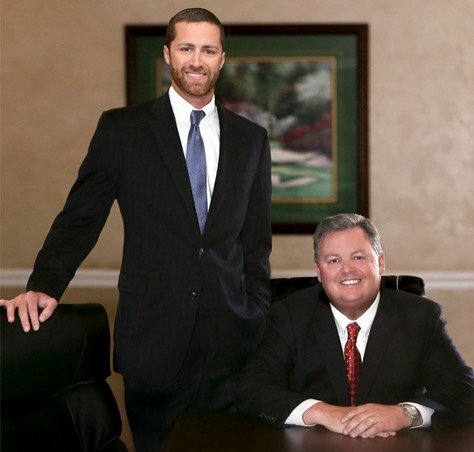 There is no fee unless our Tampa medical malpractice lawyers recover for you.